Our team often enjoys working among ourselves and with others on various software applications for hackathons, challenges and personal projects. We constantly need to meetup in person for a few hours or a day in a location that is conductive to work, and this can be challenging when traveling and meeting in an unfamiliar region. 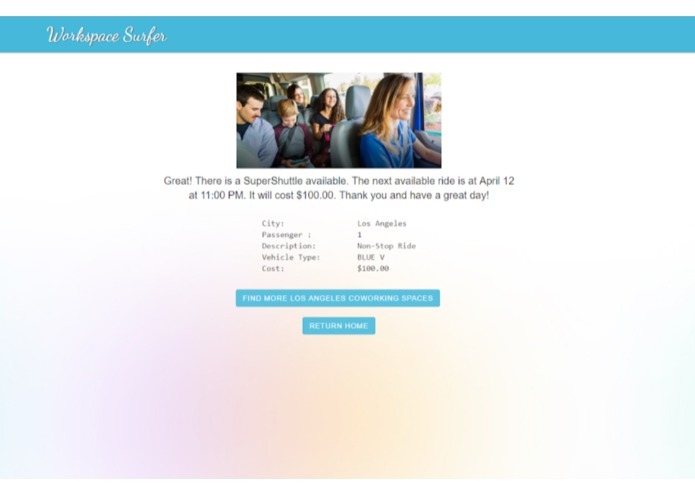 Additionally we also wanted to take advantage of the sharing economy and utilize co-working and ride sharing services. 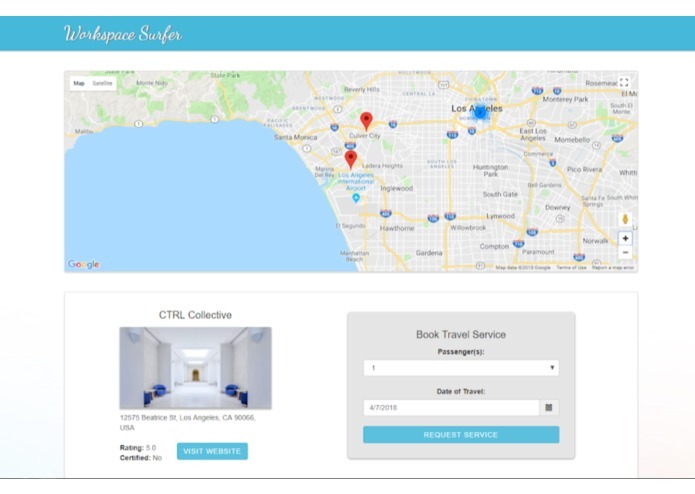 Consequently, we decided to build a web application to help us browse co-working spaces to decide on a place to meet and arrange travel to and from the work space. 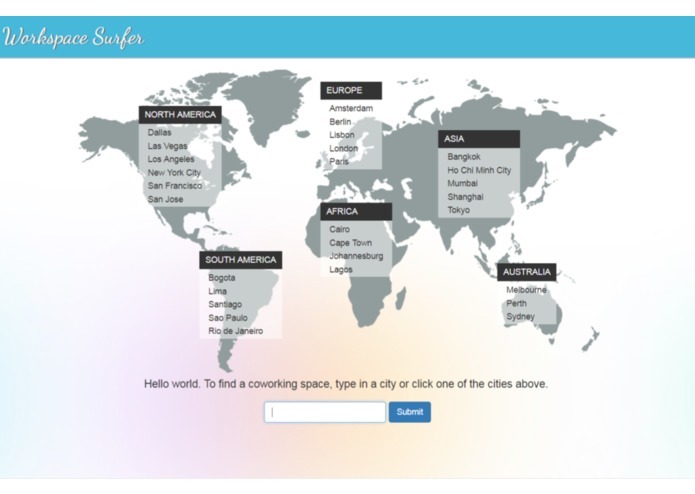 Workspace Surfer consists of a web application which allows users to browse and contact co-working spaces within a particular city and arrange transportation through a car sharing service. In addition, the project includes a TV application, allowing users to conveniently browse co-working spaces just as they would movies or TV shows. We ran into issues with the co-working API becoming unavailable, in particular when we were trying to create a demo video as well as adapting the application to AndroidTV, as we found the UI layout options very restricting. We managed to deploy a working web application that accomplished the objectives we set out to achieve. We learned how to load network data into an Android TV application and navigate the results similarly to a TV or movie app. We would like to improve the city selection feature so that there are more options available without having to manually type a city name as well as guide the user when typing to city names to ensure they are in the correct format and will return results. Created the UI and api integration.